The Jacksonville Public Education Fund informs, engages and inspires the people in and around our public schools to achieve excellent educational outcomes for all students. The Jacksonville Public Education Fund is a 501(c)(3) organization that believes in our diverse community’s collective power to ensure that every child walks into school with the same opportunity to succeed. We will never stop pushing to ensure that all of our children grow up with stability, consistency, and love, and we will always elevate opportunities and celebrate victories for children in Duval County. Every student is inspired and prepared for success in college or a career and life. We inform, engage and inspire the people in and around our public schools with our work, including parents and the community, teachers and education decision-makers. We provide independent analysis and an objective voice, connecting people to the facts about key education priorities. We convene education stakeholders to exchange insights and ideas regarding how best to replicate solutions and address challenges facing our local public school students. We inspire people in and around our public schools to lead with the facts, information about what works and where there is common ground. We believe parents and community members, teachers and education decision-makers can all play an important leadership role to ensure equitable access to quality schools and a great public education. We inform, engage and inspire teachers through the EDDYs Experience and Teacher Roundtable, bringing national experts to inform Duval County's top teachers, engaging them in sharing their voices with policymakers and inspiring them to lead in their schools. 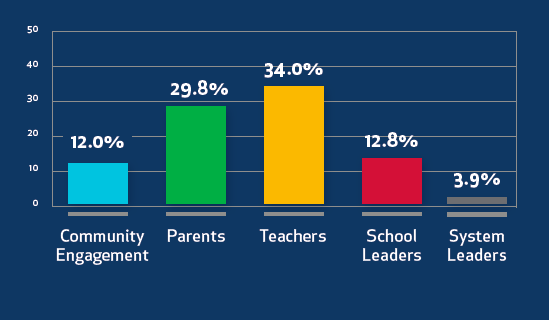 We inform the community with the data on school performance through School Facts Jax, engage them in sharing their priorities for education through ONE x ONE, and inspire them to lead through programs like Parents Who Lead. We inform administrators at Duval County Public Schools and other public school operators through our research and public opinion poll, engage them in hearing from the community and teachers at events and meetings, and inspire them to act through events such as our School Board Academy.